Identity theft is no laughing matter. Millions upon millions of Americans are victims of it. Though the true number is not known, it’s estimated that 15.4 million people in the United States had their identity stolen in 2016 alone. And it’s only expected to get worse. In early 2004, President Bush signed into law the Identity Theft Penalty Enhancement Act to try and curb its incessant rise, but each year since the number of people taking part in this crime has only grown and grown. Sure, we could give a lot of reasons for why it’s happening — the economy, lack of education, lack of opportunities — but at the end of the day, regardless of why it’s happening, no one wants to be the victim of these crimes. To help protect yourself, consider enlisting the help of an identity theft protection service. But how do you pick the right one? We did a lot of research and found many junk companies out there, but of course, we did find a few gems. Here are the top three identity theft protection services that are actually doing some good and deserve your business. LifeLock has some pretty comprehensive alert options. Sign up with them, and you can get identity theft alert options via SMS (aka phone texts), their mobile app, or your email. Or, if you want, you can even sign up for call alerts and a representative will discuss with you what’s happening and what can be done about it. For service like this to be effective, it’s got to be 24 hours a day and seven days a week. LifeLock knows that and this is exactly the kind of service they give to their customers. Even more awesome? You can have a 60-day free trial before you commit. Though Lifelock has had some issues in the past (a court ruling had them pay a $1 million fee for not securing data well enough), they seem to have cleaned up their ways. They have nothing but glowing reviews online, and are only 0.4 points away from securing a solid 5-star rating — out of 9,000 reviews! Lifelock has three plans available, which all vary in price. Unlike other companies that have varying plans available to consumers, LifeLock’s is actually worth some reflection. You get Social Security and credit alerts, plus if an identity theft occurs while you are enrolled in the plan, you get up $25,000 in reimbursements. Not too shabby at all. With this plan, you get SSN, credit alerts, bank and credit card activity alerts. On top of all this, you’ll also be notified of any crimes that were committed in your name. For this plan, you can be reimbursed up to $100,000 for any stolen funds. Starting to see why you should think about it? For this plan, you get everything that comes with the Advantage plan, but you also get updates on your credit reports, and 401(k) investment activity alert. For this plan, you can be reimbursed for any stolen funds up to $1,000,000. It’s not the cheapest plan you will find out there, but it’s probably one of the most comprehensive ones. Plus, you can’t beat those reimbursement rates. If you’re looking for a solid bang for your buck, LifeLock is one of the best. 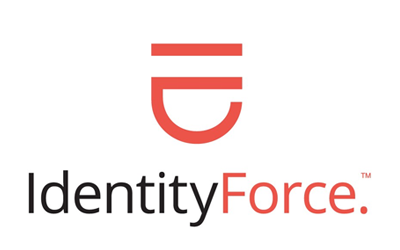 If you’re one of the lucky ones and haven’t had your identity stolen yet, Identity Force is a solid company. You get all of this for only $18.95 a month, but if you pay in yearly installments, it’s only $189.50 (as opposed to $227.40). If $18.95 is a bit too much for you, you can instead opt out of the credit report monitoring part and only pay $12.95. However, it’s really not that much more money to go with the credit plan, too. When you consider that most thefts occur in the credit card realm, then it’s kind of a no-brainer which one you should go with. Though this plan is the most cost-effective, it’s also the best plan if you have not yet been a victim of identity theft. 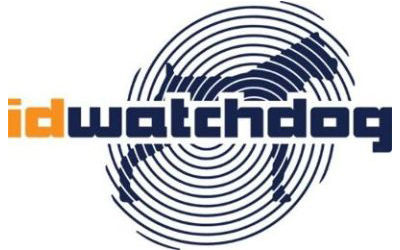 ID Watchdog is one of the rare identity theft protection companies out there that actually helps people recover from thefts that have already taken place. Most companies only help their customers if the theft happens while they are a member of the club. With this company, you can join even after you’ve already been hit. If you’ve ever been a victim before, then you know how big of a deal this is. For two adults, it’s only $27 a month. As you might expect, there are a few things you can do to protect your identity without paying for identity theft protection. To remain off the list of victims, follow these tips as often as possible — if not every day! #1: Freeze your credit reports. Whether you think your financial information has already been compromised or you’re just worried about the potential for identity theft, consider freezing your credit report. It’s not a complete solution, but it can be a major barrier to someone else opening an account in your name. 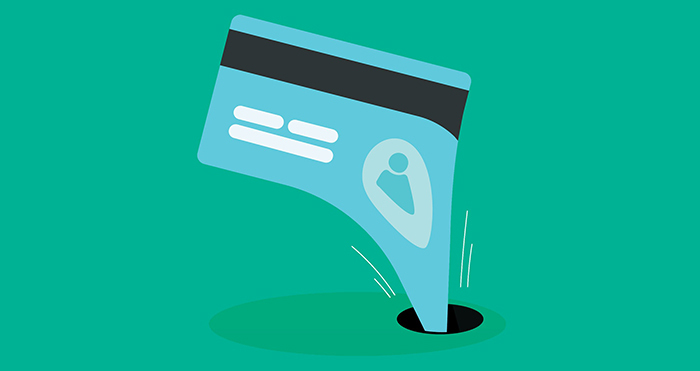 You pay the credit bureaus a small fee and they’ll essentially put your accounts on lockdown. When someone goes to apply for a loan or credit card in your name, the creditor won’t be able to run a credit check and the application should be denied. Intrigued? Find out more about how and when a credit freeze might be right for you. #2: Use intricate passwords, and never use a password more than once. That’s where a password manager like LastPass comes in. They remember all of your passwords for you, so you don’t have to. All you have to do is remember your master password and LastPass remembers the rest. Make sure your passwords are at least eight characters long and contain symbols, numbers, and both uppercase and lowercase letters. A lot of people get in the habit of having one really good password and a bunch of mediocre passwords. They use their strong password for important sites and their mediocre password for inconsequential sites. If you want to keep your identity safe, you need to vary it up a bit because all it takes is one time for someone to use keystroke software on you. They get one password from you and then they’re able to run amok to all of your highly frequented websites. #3: Don’t click on links that take you to random websites. This should be a no-brainer, but even the best of us fall prey to clickbait at times. Other than getting you to go to a website where you buy something, oftentimes its purpose is far more nefarious. In fact, it could be quietly collecting information off of your computer. Just don’t click unknown websites and you should be fine. Another thing to keep in mind is that sometimes fake bank emails are sent out in the hopes that you’ll re-enter personal information, such as your social security number, to verify that you are, indeed, you. Your bank will never do this. There are far more sophisticated ways to verify someone’s identity, and even if it does need you to re-enter personal information, it will only ever do so on its main site. #4: Learn the ins and outs of your smartphone. Cell phones are not just phones anymore. They are traveling computers and storage devices. And not just any kind of storage device, but a storage device that has nothing but your personal data on it. Opt for remote data wiping should you ever lose your phone. This enables you to erase all of your phone’s data from afar if and when you should ever lose it or have it stolen. Have a pin number to log in that you change regularly. Consider getting a phone with biometric authentication. What does that mean? It’s a fancy term for using part of your body to unlock your phone. The most common version is fingerprint recognition. Yes, most of the time a new card is taken out in your name, but sometimes criminals are able to get their hands on your existing accounts. What you need to look for on a weekly, if not daily basis, are small charges. These small charges are often only a dollar or a few cents. These kinds of charges are used to see if your bank or lender’s main computer will let the charge go through. 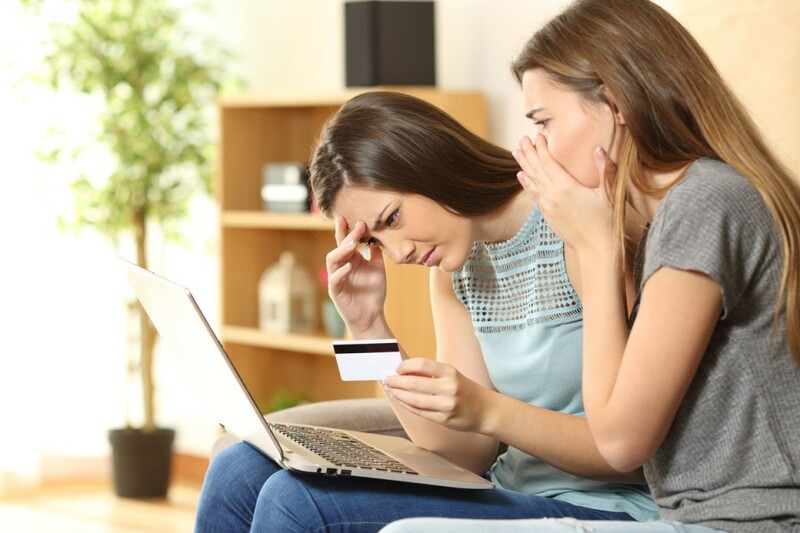 If it works, then they know it’s time to go on a quick spending spree before you cancel the card. Call your bank immediately if and when you ever see these kinds of charges. Even if you’re unsure and think it might be something you did, call them just to be safe. The earlier you can spot these things, the better. Should you still pay for identity theft protection? It’s ultimately a personal decision, but definitely, a smart choice considering the world we live in right now. Identity theft is a very real threat in the world. Not only that, oftentimes trying to prove that your identity was stolen can take months on end. So having someone that is willing to fight that battle for you is very worth it. Just be careful you choose a reputable company. A lot of times ‘identity theft protection’ companies are nothing more than a credit monitoring service. Use your best judgment, do your research, and look at the kind of services they offer. If you need a place to start, consider one of our top picks for 2019. What Is the Fair & Accurate Credit Transactions Act (FACTA)?